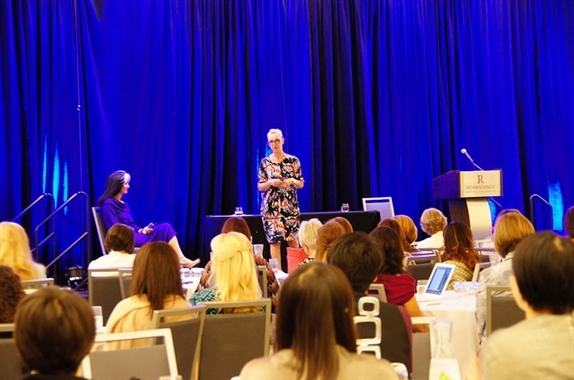 AICI is proud to offer training programs for CEUs (Certified Education Units) to its members and the image industry. AICI is committed to ensuring these programs are of the highest caliber, so that members can continue to improve their competence and meet AICI’s certification requirements. 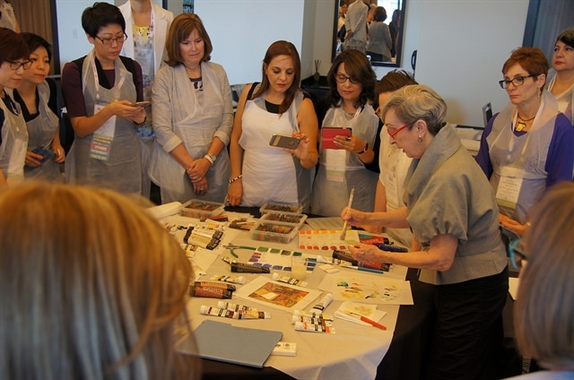 As a CEU Provider, AICI has set standards to ensure training programs are of high quality. Qualified trainers who successfully complete our application process are approved by AICI to offer CEU’d programs/courses. AICI confers CEU's to participants who successfully complete approved courses. What is an AICI CEU? The AICI CEU is an internationally recognized educational unit that measures noncredit activities in continuing education. You receive .1 CEU for every contact hour of instruction; therefore, one CEU is awarded for ten contact hours of participation in an organized continuing education experience under authorized sponsorship, capable direction, and qualified instructors. They are a measure of your continued professional development and education as an image consultant. Do I Need AICI CEUs? AICI CEUs are not required for membership in AICI, however, AICI CEUs are required to maintain all three levels of certification. All Certification levels (AICI FLC, AICI CIP and AICI CIM) are required to earn 2.4 AICI CEUs every three (3) years. Please refer to the AICI Certification Renewal Requirements. If you fail to earn the required 2.4 AICI CEUs for your three (3) year Certification Renewal cycle, you forfeit your Certification. You may be eligible for reinstatement by paying a Reinstatement Fee and meeting the AICI CEU requirements. How Do I Earn AICI CEUs? To learn more about CEUs, click here. To see a list of CEU’d training programs, click here. How Do I Know How Many AICI CEUs I Have Earned? AICI Headquarters maintains AICI CEU records for all its members and those participating in training programs authorized by AICI to award AICI CEUs. Members may view a copy of their AICI CEU Record by logging in and viewing the "My Profile" area of this website. It is your responsibility to ensure you have the required number of AICI CEUs to renew your certification.